Did I hear anyone say laying at the beach can be boring, crowded and noisy? Well, not at Crete! At least not if you are going to one of those beaches I am going to mention in my top 4 below. Of course Crete does have these overcrowded beaches where you can spend all day laying in the sun not doing anything. It is amazing to for those who are looking for a place where they can relax and forget about all the stress at home. Although I have been falling in love with the sea over and over again, and I do like to cover my feet with sand for a few hours, Ben and I are not really the beach kind of persons. This meant that I had to find out which beaches I absolutely did not want to miss during our stay on Crete. I really did my research on this subject, just to be sure I would visit the most amazing beaches. I think I can say hard work pays of as the beaches Ben and I discovered where all incredibly beautiful. You may find national parks all over the island of Crete, also at some beach area’s . These places are absolutely wonderful. I loved walking through these parks and see some unique kind of nature after each hilly path. It really made me realise our planet is a precious gift which we should love and care about. It is an amazing experience to drive through the impressive mountains, walk through the rocky paths and finally reach the clear blue sea and run into it! So these are the 4 beaches I loved the most on Crete, I hope they will inspire you. 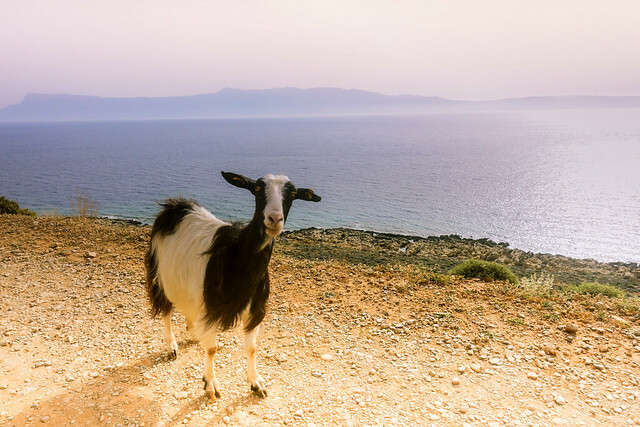 Whether you are a nature lover, a hot spot freak or a relaxing beach kind of person, these beaches are a must see for everyone who is visiting Crete. Imagine this, you are driving through of the rocky grey mountains on Crete, there is the almost nothing green around you. You park your car somewhere beside the road on one of the hills and start walking downwards. You can see the ocean which is in a lovely contrast with the landscape, but as it is bloody hot and there are no trees to hide from the sun, you are looking for some refreshment. 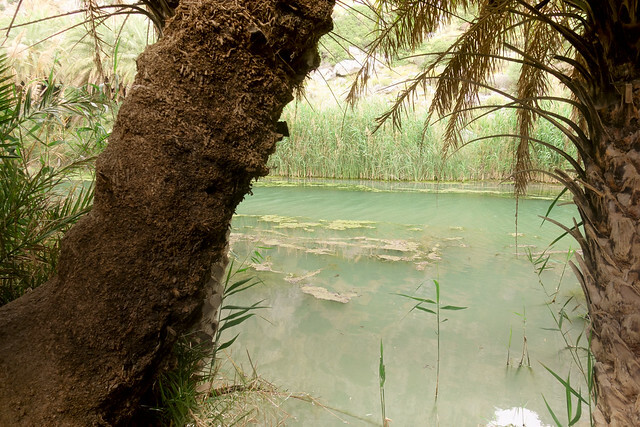 Suddenly in the middle of two mountains, at the end of the Kourtaliotikos Gorge, you find a river surrounded by a completely green area that mostly exist out of palm-trees. This is Preveli beach. I was exhausted from the walk downwards, since it was so hot and I really had to be careful where I was walking on these rocky hills. However, from the moment I saw the green area that surrounded the river and ended at the beach, I knew why I was doing this. While we were walking on the pads beside the river surrounded by palm-trees, I felt like I was suddenly in some kind of tropical forest somewhere in Thailand. The shade of the palm-trees and other trees was heavenly and while looking through the trees I saw the impressive canyon becoming higher and higher. Preveli beach is absolutely amazing if you are looking for some refreshment and for a unique beach and green area. Keep in mind that as it is a protected area, there is no organized beach. You can absolutely not miss Bali Beach if you are visiting Crete! This place looks like paradise. The place is home to many protected animals, but also plants as well in the water as on the surrounding area. As Ben and I rented a car for a whole week, we decided to visit this paradise by car. We could have known that a protected area would not provide us with comfortable roads to drive on. However, the small and sandy road with mountains on our left side and the ocean on the other side, but meters below us, was still a bit of a surprise. I can’t say I wasn’t scared at all while driving through this path, but I did feel more confident of my driving skills each time I passed a tricky point. In any case, the views during this trip where amazing and I can highly recommend it if you have some driving experience. At some point we had to park our car and continue our trip walking. Before we started our walk Ben and I decided to eat something, and this seems to be highly appreciated by the goats walking around here. One of them stole my Banana and also had the guts to jump into our car looking for more food. I cannot blame the guy, I mean I would do everything for food. Thanks to those funny goats walking all over the area, the walk was not only very beautiful, but also very funny. During our walk we already had some impressions of the azure colored sea and the peninsula, which depending on the sea can also be an island. The beach itself is impresivingly beautiful. During our visit it was not possible to walk to the peninsula, as parts of the beach where covered with water. However, swimming is always an option. The area has many different depths, and that’s why the water has so many different colors of green and blue. If you are lucky you can spot Mediterranean seabed or the green turtle. Again, the beach is not organized, make sure you bring something to drink and to cover yourself on this sun-drenched place. Another one of a kind beach is Matala Beach. This beach is completely different from the beaches I mentioned above. It actually owes its famous name to the hippies in the 70’s as they used to stay in the carved caves in the rocks. 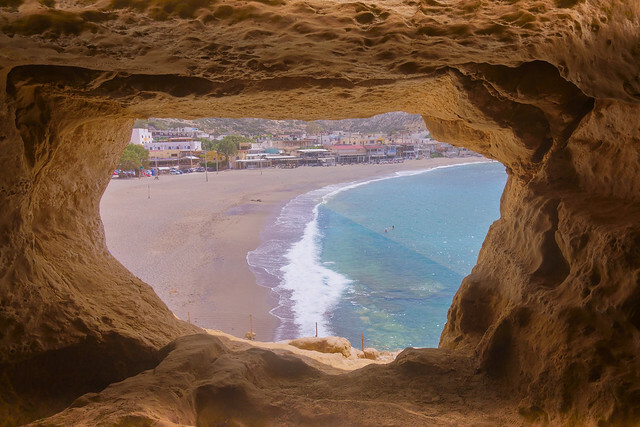 It are exactly those caves why the beach is so beautiful. The way up is a bit of a climb, so be smarter than me and don’t wear skirts during your visit. You need to be a bit careful as the rocks are very smooth, but it are those tricky and challenging elements that make me enthusiast. Ben and I walked and climbed a bit and meanwhile had some breaks in the caves from where we had an amazing view on the clear blue ocean. 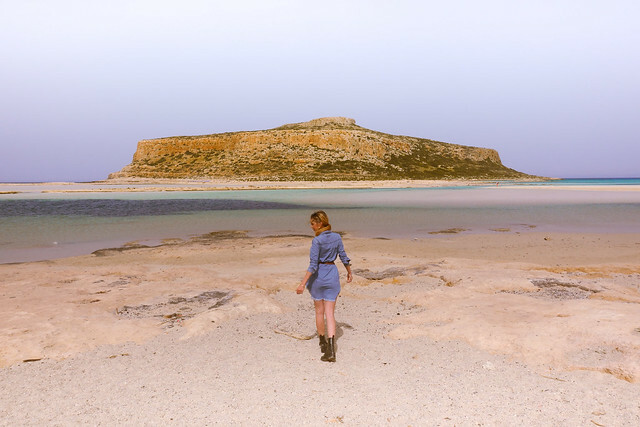 I was so excited to visit Elafonisi Beach as I had found out this beach can be pink colored! We were driving to this lovely area at the end of the day so we would be in time to enjoy the sunset. At the time we arrived many people already left, which was perfect for us. During high season these places can be very crowded so if you are like Ben and me, looking for more quiet places it is important to check which time of the day and which time of the year you are paying a visit to popular places like Elafonisi Beach. The actual color of the beach is normally a beautiful white, but thanks to the grit of the shells it sometimes has a pink touch. 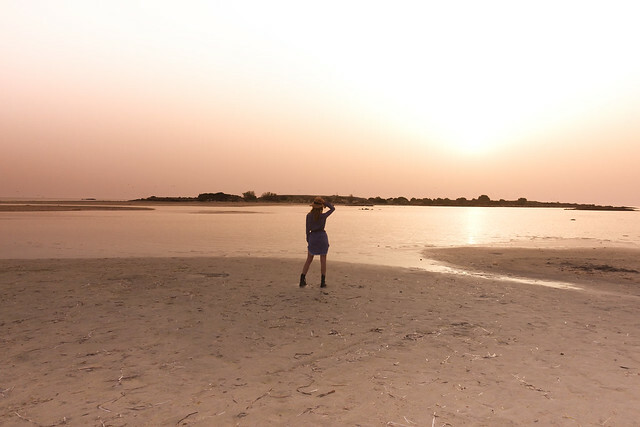 During our visit we saw some pink trays, but mostly thanks to the sunset we had a very pink experience. From Elafonisi you can walk to the nearby island Lafonisi. Keep in mind that the path to the island replaces itself with the wind and can disappear with floot. This is also why this place never looks the same. The pictures I took are completely different from the pictures I saw on the postcards. In any case, the water is on most places very shoal, which makes swimming very easy. Elafonisi is one of those places that gives me new energy. I was totally exhausted at the time I arrived. However, as soon as I saw the beauty of the area I felt new energy running through my body. I couldn’t wait to walk around this amazing area and I wanted to be sure I captured the beauty of it. Protected area: Don’t leave any waste behind you! Most of those beaches are protected area’s. There are many animals and plants that are very unique, only live here or are are threatened with extinction. The areas are very beautiful and I think it is very sad people are covering it with their trash. Also important is to think of those animals that might kill themselves with your trash. We live on a very beautiful planet that I myself see as a very precious gift, let’s threat it with respect together. Getting around: The beaches I mentioned are not close to each other. Ben and I made a road trip through Crete (which I can absolutely recommend), so we were able to travel everything by car. Prices to rent a car starts with €45,- per day. However, if you are staying on one place in Crete or you prefer not to travel by car, it is optional to schedule a organized day trip to most of those beaches. A boat trip to Balos Beach for example seems absolutely beautiful. You can ask you hotel host or the tourist information for more details. Keep in mind that these trips are probably more expensive. Another option is to go by Ktel bus. This options is much cheaper than renting a car or planning an organized trip. However, I prefer the freedom of renting a car. During our road trip, but also during boat trips you see a lot more of the beautiful area then traveling with public transport. At the end of this page I have added some links to car rental organisations, tourist information’s and the Ktel website for public transport. 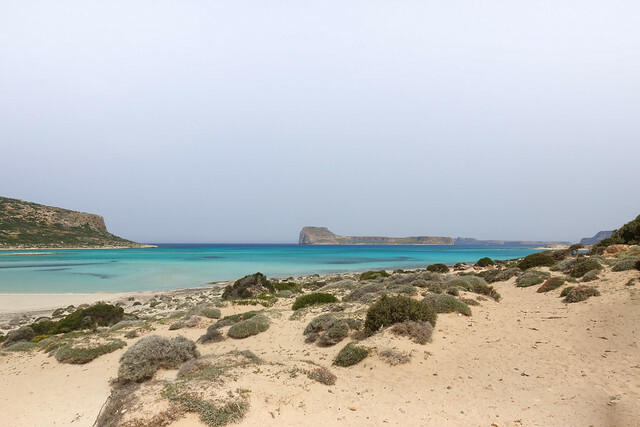 Food: Keep in mind that Preveli Beach, Balos Beach and Elafonisi Beach are protected area’s There are no organized beaches and it can be difficult to find something to drink or to eat over here. I can recommend you to bring enough water, especially because it can be very warm, but also food as you might have to walk a bit. Sun: During summer Crete can be very hot as the sun is burning. Ben and I visited the island at the beginning of April, and the sun was burning already. Although you may see the sea as a refreshment, keep in mind to protect yourself and your skin carefully. Especially on Balos Beach and Elafonisi Beach it is hard to find some shade. Make sure you bring some sun protection and maybe even an umbrella if you are planning to stay on the beach for a while. Best time to visit: During high season those places can be very crowded. However, if you are still planning to visit Crete during July or August, I would recommend you to visit those beaches in the early morning or during the sunset, when it still can be more crowded, but you also have the benefits of the beautiful sun disappearing into the sea. The best time to visit when you are not into crowded places will be in April, September or October. When the weather is still fine, but almost no one is visiting Crete. Greek website of Hertz car rentals, keep in mind that making your reservation through the Greek website can save you a lot of money.